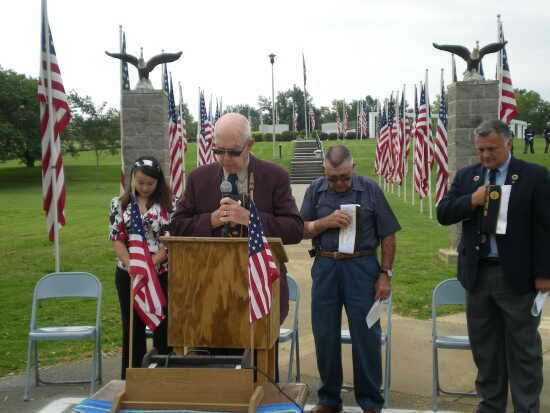 POW-MIA Remembrance at Brookside Park in Jackson. Benediction lead by Emil Brase, Chaplin VFW Post 10495. Program participants: Emily Sladek, "In Captor's Hands"; Emcee Byron Fluegge, Cmdr, VFW Post 10495, speaker Dennis Woeltje, American Legion District 14 Cmdr; Taps-Gun Salute, CPL Mason O. Yarbrough DET 1081, Marine Corps League. 19 Sept 2009.